Motor development is key when it comes to being able to physically navigate the world. Moving our bodies throughout our day to day lives is something most of us do without giving it much thought — but it actually takes a considerable amount of skill. The central nervous system controls both fine and gross motor skills. Fine motor skills include small movements, such as writing and drawing. Gross motor skills include larger movements such as walking and throwing a ball. Motor development in autistic children has been the subject of study for years. The reason why is because autism is a neurological condition without any defining physical characteristics. Differences in brain functioning in autistic children are not easy to detect, so professionals will often observe behavioral patterns such as those exhibited by the development of motor skills. Professionals also find it beneficial to observe motor development in autistic children because it can be measured over time, and results of testing can be easily reproduced. Observing motor skills can help professionals discover brain functioning differences, even in cases of high functioning autism. Now let’s take a look at what has been discovered through studying motor skills. Studies have shown autistic children can have varying degrees of difficulty with fine and gross motor skills. Another study suggests autistic children could be six months behind in gross motor skills compared to their peers, and a year behind in fine motor skills. These are difficulties that can be overcome, but are believed to exist due to the neurological differences in autistic children and their challenges with sensory processing. 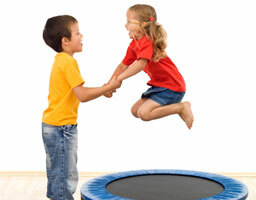 Difficulties with gross motor skills may involve anything that relies on balance, body awareness, and motor control. This could include playing sports, riding a bike, or simply carrying books to class. Difficulties with fine motor skills may include anything that relies on using small muscles in the hands. Since we use our hands for so many things in life, this could include anything from signing one’s name, to playing an instrument. These challenges with motor development can be treated if detected early enough. We’ll go into more detail about that in the next section. After a professional has observed a child’s unique difficulties with motor skills development, a treatment plan may be developed to address their specific needs. Autistic children are not all challenged by motor skills development to the same degree. Some have pronounced difficulty with fine motor skills, some are more challenged by gross motor skills, while others have difficulty with both. Parents should be familiar with the treatment plan designed for their child, and take an active role in assisting them with prescribed therapies. It’s also recommended that parents be proactive in ensuring motor skill development is something that gets addressed early on in this child’s life, because it’s often neglected in therapy programs. Lastly, parents can further assist their child by improving their own understanding of the importance of a child’s motor skills development. We recommend viewing our lecture which goes into more detail about motor skills through discussing it from a variety of angles. Our lecture brings the core aspects of motor skills development and motor control into the context of relationships with others. The lecture also discusses a child’s motor skills in response to their environment.